I recently attended CES in Las Vegas to do some research for a client. CES was huge and hyperactive and I hated it. My resistance was not due to the size or number or quality of exhibits, but rather the show’s inability to navigate me through any of it. We live in a consumer-centric world, powered by immediacy and universality of choice (otherwise known as the Internet.) Today, we can shop for anything online, customize the features, and dictate how it’s delivered. Everything from clothing to cars to medicines to media. And that’s pretty peachy. We all love choice. We all love control. But the surprising truth in many of our brand interactions is that we’re not all very good at it. Especially when the choices are overwhelming. Such a guide would have still afforded me choice, but those choices would have been curated for me. And curation is the magic word for the new consumer world. Museums curate exhibits. 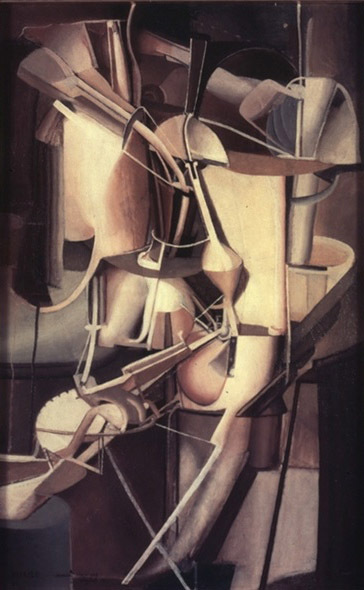 Of all the Duchamp cubist paintings, a certain museum might choose 30 of them. They would then arrange them in a distinct order, put them on certain walls, make you stand in directed spots to view them. Remember, content and the mode of consumption. The subtext here is “the museum strongly suggests you view Duchamp this way.” It’s a very specific experience. If I want some other experience, I can gladly seek it elsewhere. Brands in virtually all categories curate personal experiences. Whether it’s how your clothes smell, or what your ringtone is, or what color the dashboard lights are in your vehicle or the editors of your favorite business magazine – we, as consumers or business customers, are seeking features and experiences that enrich our lives in some way. But for goodness sake, we want someone ELSE to tell us what those are. We want Amazon to tell us it has “recommendations” for us. We want Google to auto-fill our search terms. We want the Gap to recommend a sweet belt to go with that sweater we just purchased. Sure, we ultimately want to make the buying choice, but what we need brands to do is present the pathways to making them. Marketers, take note. Curate an experience for us. Stand for something. Deliver something specific, that no one else can deliver. Or deliver something that lots of other people can deliver, but do it in a way that’s unique, or cool, or fun, or hip or technologically cool or convenient. Because we all want choices…we’re just not all very good at making them.